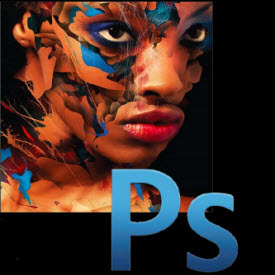 April 3, 2013, Adobe releases updates for its popular image editing programs Adobe Lightroom 4 and Adobe Photoshop CS6 to support the latest digital cameras including the Nikon D7100. The updated versions of Lightroom 4.4 and Adobe Photoshop with Adobe Camera Raw 7.4 are now able to open and edit Nikon Electronic Format (.NEF) RAW camera files taken with the Nikon D7100 DSLR. Users of previous versions of these and other programs can use the DNG Converter version 7.4 to convert D7100 RAW .NEF files to Adobe Digital Negative Gallery (.DNG) format. The updates also include new lens profile data for recently released lenses including the Nikon AF-S NIKKOR 70-200mm f/4G ED VR, SIGMA 35mm F1.4 DG HSM for Nikon mount and TAMRON SP 70-200mm F/2.8 Di VC and TAMRON SP 90mm F/2.8 Di MACRO for Nikon mount. Detailed instructions for how to open and edit D7100 RAW (.NEF) files as well as download links for the latest updated are included below. This entry was posted in Announcements, Image Editing, New Product, Nikon D7100 on April 3, 2013 by D7100 Admin. I have Adobe Photoshop CS5 and Windows 7 on my computer. I recently purchased a Nikon D7100 and have been unable to open my NEF files in Camera raw. I downloaded DNG Converter 7_4 and 8_1 with no success on opening the files. Am I missing a step? Thank you for any help. Did you first open the NEF file and save as Adobe RAW using the DNG converter? If you can’t open the NEF using the DNG converter, did you use Nikon Transfer to copy the NEF files? It may have corrupted them. Try using this tool to fix them. To extract .NEF software to JPEG or TIF, just use this link and download the free software from Nikon : ViewNX 2. You maybe need the NEF Codec, on the same page. I have installed it on my computer and it works fine without any problem.